As we make our way to the playground, I see another single glove, in addition to the one we saw earlier in the day. This time it has been placed on the post of a fence at Stanton Park. 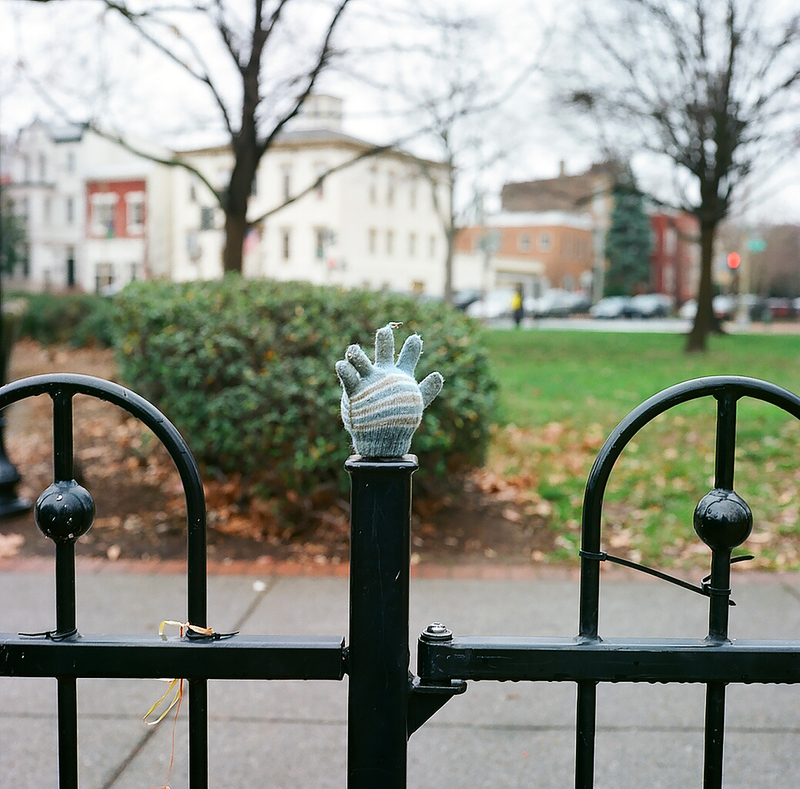 Clearly this glove has lost its owner, likely falling to the ground as a parent or child head home from a fun trip to the playground. Assuming someone might be back to retrieve the lost glove, a kind stranger has placed it on the fence so it is easier to find.